Emily Newton as Roxy with her team. Paul Abraham was the toast of Austro-German operetta in the 1920s and 30s, first making his name in Berlin with works such as Ball am Savoy and Die Blume von Hawaii, escaping to Vienna when the Nazi grip took hold in Germany and fleeing to Paris, Cuba and lastly the USA with the Anschluss (he died in Hamburg in 1960). In some ways his music had emigrated before him, since his work is characterised by that fascinating morph of Viennese operetta into Broadway/Hollywood musical and alongside a paeon to Hungary that could have escaped from Lehár (Abraham was also Magyar-born) there’s every suggestion that he knew and absorbed the 1933 movie of 42nd Street in his big choral and dance numbers. Roxy and Her Wonderteam, premiered at the Theater an der Wien in Vienna in 1937, was one of Abraham’s last European successes and was swiftly made into a film before being abandoned to history. It combines the dreamy nostalgia for the old empire with the craze for jazz and musical Americana. In this context, and as the work of a Jewish composer, it is hardly surprising that it swiftly fell from grace. 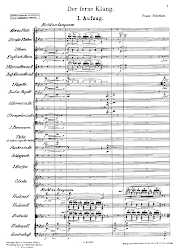 For this German premiere production by Theater Dortmund, the score had to be reconstructed from various slim sources, including the film soundtrack and orchestral parts. As with so many of these kinds of works, the story is slight: Roxy, niece of a mixed pickles manufacturer, stows away with the Hungarian football team, returning from a disastrous defeat against Scotland in London. Escaping, in full wedding dress, from her marriage to the wimpy Bobby, she is adopted by the Hungarians as their mascot and, of course, falls for their leading player and inspires the team to triumph. 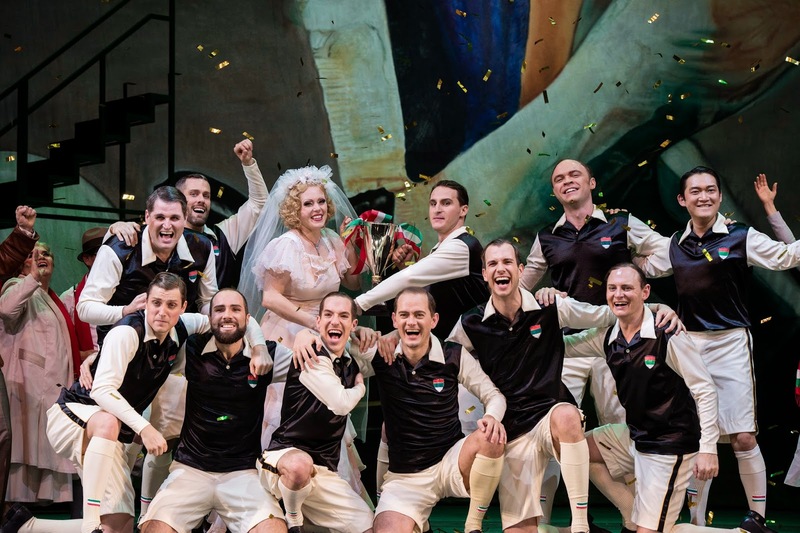 The operetta tapped into the contemporary craze for football in Vienna, and indeed one of the city’s leading stars appeared in the film version. In this context, the home city of Borussia Dortmund seemed an appropriate place for its revival. Theater Dortmund is one of those German houses that happily stages Wagner one night, Lloyd Webber the next, so is set up to provide any kind of casting requirement from Heldentenor to singer–dancers. Roxy was led be Emily Newton, a Texan soprano who created the title role in Turnage’s Anna Nicole in its German premiere in Dortmund in 2013 and has most recently sung Beethoven’s Leonore in Aachen. So an artist of great flexibility, who had the required stage presence, physical nimbleness and tonal allure for the lead role here. Her dancing (including tap routines) and vocal timing gelled imperceptibly with the experienced song-and-dance crew of the Hungarian football team, led by Jens Janke’s fleet-footed goalie. One could forgive the inevitable Scottish stereotypes for the red-headed, kilted Sam Cheswick of Hannes Brock and Fritz Steinbacher’s wonderfully over-the-top ever-wining Bobby, for they gave winning performances, matched by the suave tenor of Lucian Krasznec as the team captain and trainer Gjurka Karoly and the ebullient Aranka von Tötössy of Johanna Schoppa. The Dortmund Philharmonic brought plenty of verve to the jazzy numbers under 2nd Kapellmeister Philipp Armbruster, though the depth of the pit meant that, at least from the centre stalls, the orchestral band sound had difficulty carrying with full clarity and impact into the auditorium. The staging by director Thomas Enzinger and designer Toto proved effective for the revue-like style of the plotting, allowing for easy changes of scene and practical contexts for both intimate scenes and crowds. Whether the project revealed a long-lost masterpiece is a debatable point, but it did show that there’s mileage in resuscitating more of Abraham’s large body of work – as much a victim of the Nazis’ Entartete Musik crackdown as more serious repertoire. Roxy certainly made for an entertaining Sunday afternoon diversion, even if its numbers don’t tend to linger in the memory. Enjoy! Abraham's better-known works pop up quite regularly in Germany; and I like the way that operettas in general are presented more consistently alongside more serious repertoire - the same house can do a Roxy one night, Rocky Horror Picture Show the next and Don Giovanni the one after. I suppose the UK has no tradition of presenting foreign operetta, beyond the odd Merry Widow or Offenbach.